The first rule of Science club is: Scientific inquiry is no longer permitted if it leads to hurt feelings. 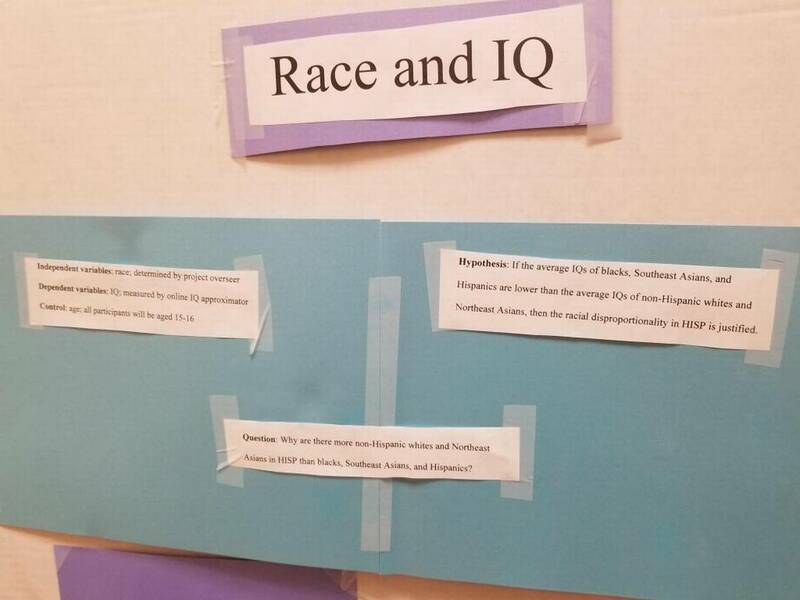 A science fair project at a California high school faced criticism earlier this week after it compared race and IQ levels in connection to participation in an elite program at the school, The Sacramento Bee  reported Saturday. The project, titled “Race and IQ,” was put together by a C.K. McClatchy High School student who is part of the school’s elite Humanities and International Studies Program. It was displayed in the fair on Monday, the outlet said. In comparing intelligence levels, the project reportedly questioned whether particular races were smart enough for the school’s magnet program and whether a racial disparity was justified. 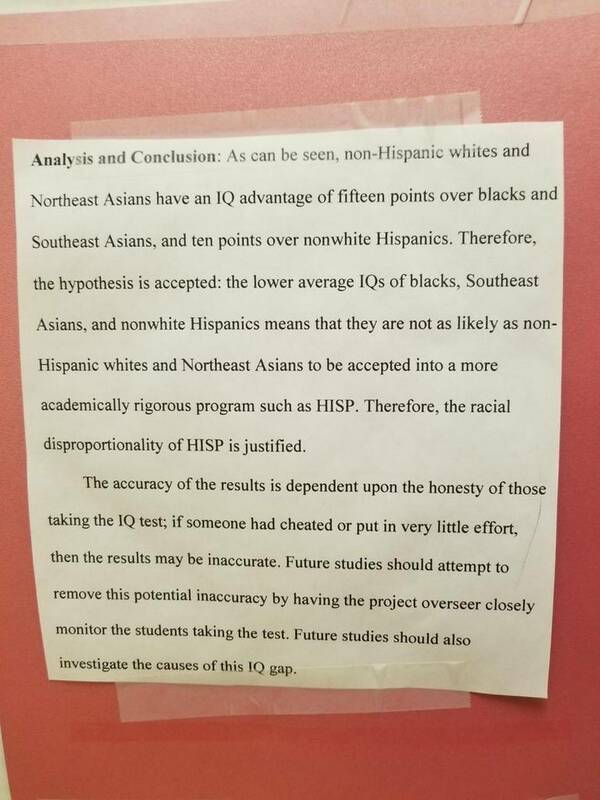 “If the average IQs of blacks, Southeast Asians, and Hispanics are lower than the average IQs of non-Hispanic whites and Northeast Asians, then the racial disproportionality in (HISP) is justified,” the hypothesis said, according to the outlet. Interesting theory, but can he prove it’s true? HISP, according to The Bee, is a separate program at the school that is meant to encourage cultural awareness and helps to provide students with different perspectives on historic moments. Of about 500 students, there are a dozen African-Americans, 80 Latino students and about 100 Asian-American students, according to data from the school district that was obtained by the outlet. The program has reportedly been criticized for its lack of racial and ethnic diversity. […]To test the proposed theory, the student had a variety of unidentified teenagers with different racial backgrounds take an internet IQ test, the outlet said. Wow, turns out his theory was solid! No doubt he’ll be showered with praise! After complaints from students, parents and faculty, the project was removed from the science fair on Wednesday, the outlet said, and the district is currently investigating the incident, Alex Barrios, said the spokesman for Sacramento Unified district.